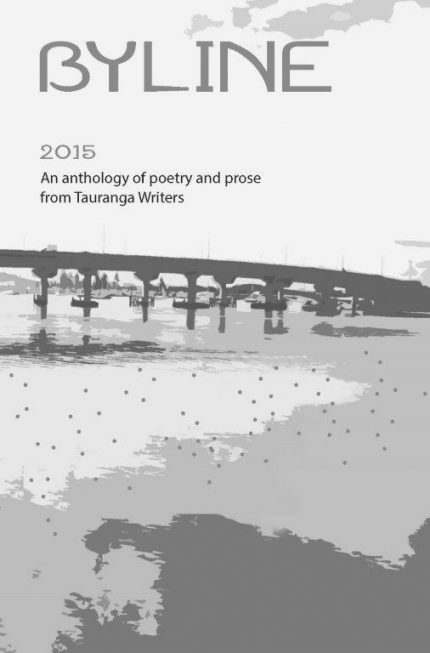 Byline 2015 is an anthology of poetry and prose from Tauranga Writers. The inaugural collection, Byline 2015 is the work of local members of the Tauranga Writers group. By submitting to this anthology, many of the authors were given the chance to have their work in print for the very first time. From teenage surfers and playgrounds in the dead of night to the noble art of ‘Pootling’ and a toast to the seasons, this is an eclectic collection of beautiful writing. Tauranga Writers is New Zealand’s longest running self-help group for writers and will be fifty years old next year. Many of its members have gone on to become properly established authors of both poetry and prose. Submissions for the 2016 Byline anthology are currently open to all Tauranga Writers members, the deadline is in September 2016. Check www.taurangawriters.org.nz for more details.